Nostalgia Martin Lampkin Cancer Care Auction. Saturday 16th June. The first time Bernie Schreiber has been on a Trials bike in the UK for over 30 years?? You don’t have to be there to bid, just message on me on Facebook!! Lot 1 The best book in trials, and now a real collectors item, Bernie Schreiber’s book on trials, signed by the man himself. Lot 2. Apico UK have kindly donated a set of riding gear for Bernie Schreiber to wear in the trial, which will then be signed and sold!! Lot 3. Dougie Lampkin’s and Barry Briggs books both signed, and a years subscription to Classic Bike. Lot 4. A collection of posters and photos, donated by the superstars of trials, Bernie, Vesty and growing by the Day. Lot 6. A lap of the TT circuit on the back of Mick Grant either TT or Manx GP weeks. If your brave enough. Lot 7. A day with the stars!! 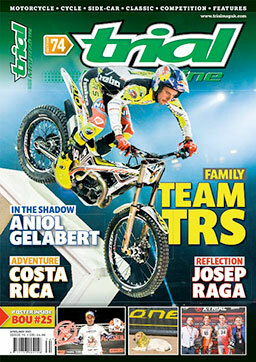 Playing on trials bikes with the stars, practising, coaching, helping, having fun! We have so far a collection of Lampkin’s, Vesty, John Reynolds, with more to add to the list. So bike set up advice, riding tips, suitable for any abilities. The top 10 bids will win a place, date will be arranged to suit, location Yorkshire of course. So I’ve already received bids for Bernie book, so if you can’t make the trial, just message or comment with a bid. For the day with the stars, the best 10 bidders will each win a place, so send me your bids! Remember 100% goes to charity! No one is taking expenses!!! Please share round the trials community, let’s make some money and sell some amazing lots. 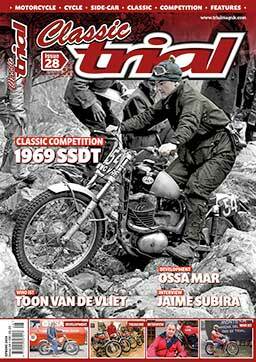 CLASSIC TRIAL MAGAZINE ISSUE 25 – TIME FOR A BREW!